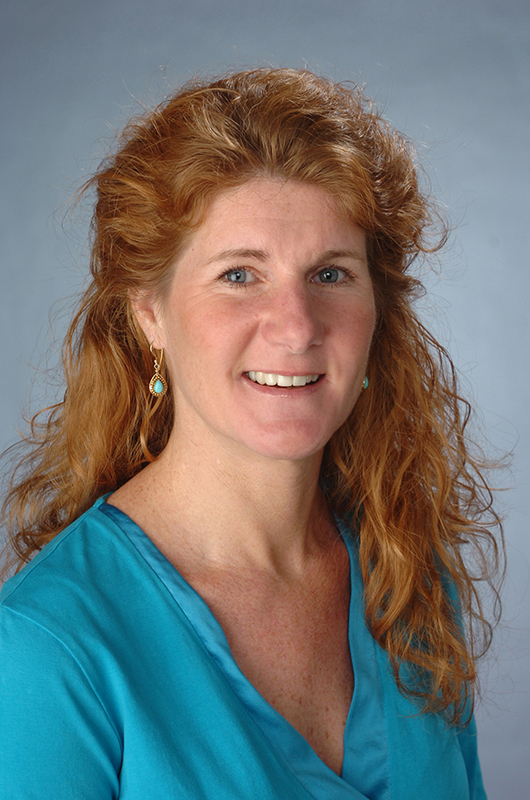 Dessa Bergen-Cico, PhD, is an Associate Professor in the Department of Public Health, and Coordinator of the Addiction Studies program and faculty in the Interdisciplinary Neuroscience Program at Syracuse University. She holds a Research Appointment at the Syracuse Veterans Administration Medical Center and Fellow of the American Academy of Health Care Providers in the Addictive Disorders. Dr. Bergen-Cico is a Certified Addiction Specialist (CAS), Certified Health Education Specialist (CHES) and a Certified Mindfulness-Based Stress Reduction (MBSR) Teacher. She completed her MBSR Teacher Training through the Center for Mindfulness in Medicine, Health Care and Society at the University of Massachusetts Medical School. Dessa was selected as a Fulbright Scholar and taught in the Addiction Studies Program at Ilia State University in the Republic of Georgia in 2015-2016 and was selected as a Rotary Peace Fellow in the 2017 Rotary Peace Program at Chulalongkorn University in Thailand. Dr. Bergen-Cico has several ongoing studies to examining neural changes and outcomes associated with mindfulness based practices for mothers, school-aged children and people affected by conflict and violence. This research evaluates the psychological and physical benefits of integrating mindfulness-based stress reduction (MBSR) into primary care for Veterans with posttraumatic stress (PTSD). To date this research has found that even brief (4-week) mindfulness-based programs have a beneficial physiological impact on Veterans with posttraumatic stress (PTSD) and improve depression and PTSD symptoms. This research is led by Dr. Dessa Bergen-Cico. Dr. Dessa Bergen-Cico (Public Health) and Dr. Rachel Razza (Human Development and Family Sciences) have been conducting research on the benefits of integrating mindfulness and yoga into public schools in Syracuse, Boston and Philadelphia. To date their research has found that mindfulness and yoga significantly increase self-regulation among pre-schoolers, middle school and high school students. Self-regulation is an important factor in psychological and physical well-being. Their research findings support the integration of mindfulness-based practices and programs as public health strategies to promote health across the lifespan. Research has found mindfulness-based stress reduction (MBSR) to be associated with improved mental health and quality of life. To better understand the operant effects of meditation on mental health, this research examines the effects of MBSR practice on psychological health and quality of life. Quality of life is measured by more than the absence of illness or decrease in anxiety and stress, it is also measured by flourishing, well-being, facets of mindfulness and self-compassion. The project is led by Dr. Dessa Bergen-Cico. Since 2014 a team of Falk College faculty and students, under the leadership of Dr. Dessa Bergen-Cico, have worked with Clear Path for Veterans to conduct evaluative research of the psychological and physical health benefits of companion dogs through Clear Path’s Dog Training program. While violent crime has decreased in many cities in America, gang-related violence remains a serious problem in impoverished inner city neighborhoods. Our research encompasses several ongoing projects that examine the impact of violence, the effectiveness of a trauma response intervention, the association between community violence and academic performance and the effects of unaddressed trauma on development of addictions – namely “street addiction.” This project includes Dr. Sandra Lane, Dr. Dessa Bergen-Cico , Dr. David Larsen, Dr. Linda Stone Fish, and Dr. Robert Rubinstein. Bergen-Cico, D & Krishna Kumar, A. (2017) Examining the processes of change associated with Mindfulness-based meditation and reductions in trait anxiety. The Scientific Pages of Depression and Anxiety. 1 (1): 1-11. Lane, S., Rubinstein, R., Bergen-Cico, D., Jennings-Bey, T, Stone Fish, L., Larsen, D., Fullilove, M., Reichert Shimpff, T., Animashaun Ducre, K., Robinson, J.A., (2017) Neighborhood trauma due to violence: a multilevel analysis. Journal of Health Care for the Poor and Underserved. 28: 446-462. Bergen-Cico, D, Sikharulidze, K., Invanshvili, N., Ivanishvili, M., & Keshelava, T. (2017) Hepatitis C risk and protective factors associated with drug policies in the Republic of Georgia. World Medical and Health Policy, 9(1), 45-64. Bergen-Cico, D & Cico, R. (2017) Age as a predictor of cannabis use. p 43-53 In Victor Preedy (Ed.) The Handbook of Cannabis and Related Pathologies: Biology, Diagnosis, Treatment, and Pharmacology. London, Academic Press. Possemato, K., Bergen‐Cico, D., Treatman, S., Allen, C., Wade, M., & Pigeon, W. (2016). A randomized clinical trial of primary care brief mindfulness training for Veterans with PTSD. Journal of Clinical Psychology, 72(3), 179-193. doi: 10.1002/jclp.22241. Bergen-Cico, D, Scholl, S. Invanshvili, N., & Cico, R. (2016). Opioid prescription drug abuse and its relation to heroin trends. p 878-890 In Victor Preedy (Ed.) The Neuropathology of Drug Addictions and Substance Misuse. Volume 1. London, Academic Press. Bergen-Cico, D, Wolf-Stanton, S., Filipovic, R. & Weisberg, J., (2016). Trauma and neurological risks of addiction. p 61-70. In Victor Preedy (Ed.) The Neuropathology of Drug Addictions and Substance Misuse. Volume 1. London, Academic Press. Bergen-Cico, D & McClurg, K. (2016). Kratom use, abuse and addiction. p 903-911 In Victor Preedy (Ed.) The Neuropathology of Drug Addictions and Substance Misuse. Volume 3. London, Academic Press. Jennings-Bey, T, Lane, S., Rubinstein, R., Bergen-Cico, D., Haygood-El, A., Hudson, H., Sanchez, S., & Fowler, F. (2015) The trauma response team: a community intervention for gang violence. Journal of Urban Health. 92 (5) 947-954 doi 10.1007/s11524-015-9978-8. Pigeon WR, Allen C, Possemato K, Bergen-Cico D., & Treatman S, (2015) Feasibility and acceptability of a brief mindfulness program for veterans in primary care with posttraumatic stress disorder. Mindfulness, 6(5):986-995. doi 10.1007/s12671-014-0340-0. Bergen-Cico, D, (2013) Perspectives of US drug policy: observations and advice from drug policy administrators in emerging democracies in Central and Eastern Europe. World Medical & Health Policy, 5(4) 362-389. Bergen-Cico, D & Lape, M. (2013) Age of first use as a predictor of current alcohol and marijuana use among college-bound adolescents. Journal of Child and Adolescent Substance Abuse. 22: 235–253.